This virtual lab allows students to put multiple quantum particles into the same trap to build the ground state, first excited state, etc. of the system. The particles are all identical. The student can change the number of particles and their type (fermions or bosons). Students are asked to determine the rule governing placement of identical fermions onto energy levels: this is the Pauli Principle. 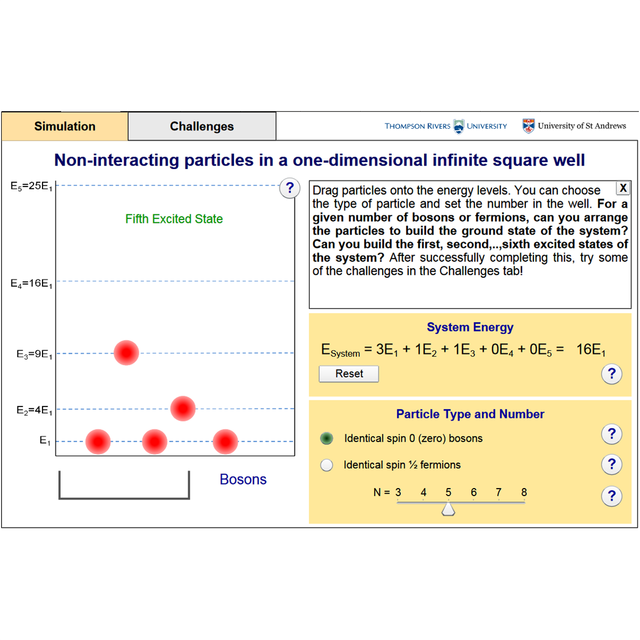 A second tab allows students to solve a number of challenges aligned with the primary aims below. 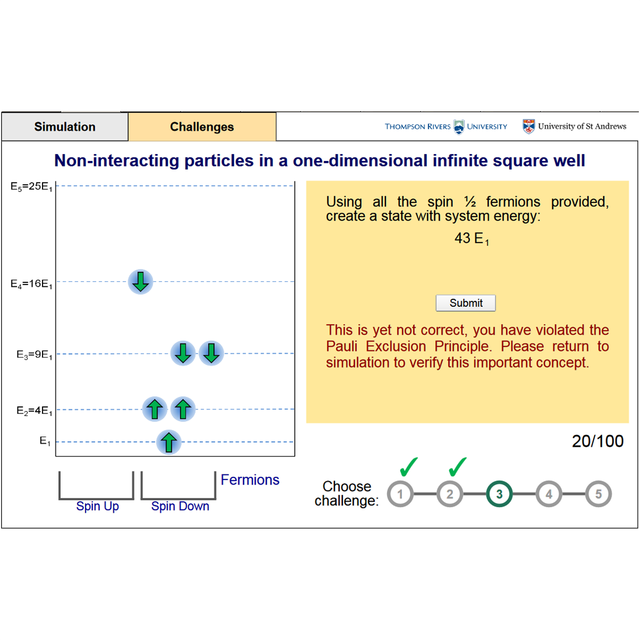 Students can explain how to determine the system energy for multiple quantum particles given their individual energies. 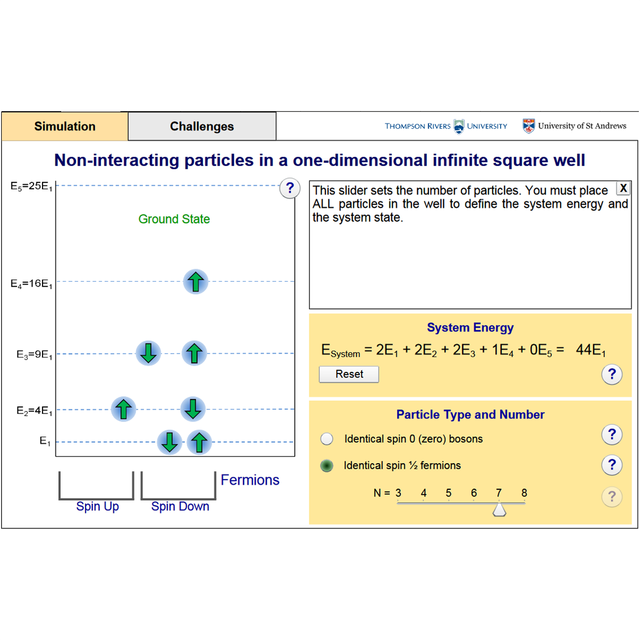 Students find a qualitative relationship between the system energy and the placement of particles.